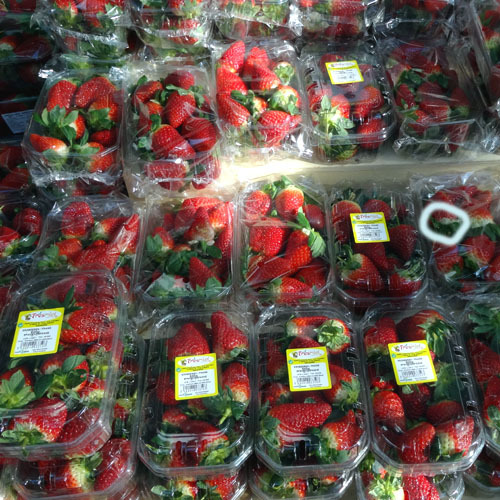 This picture of punnets of strawberries in the supermarket offers a challenge to anyone who thinks they are observant: can you see the differences between the two very full images? But more than that, it raises issues about how we live and eat in the West. It used to be the case that we ate fruits and vegetables that were in season – but now we expect to be able to buy and consume anything we fancy all year round. In the case of perishable fruit for the European market this means flying in supplies from East Africa or South America. It may help the economy of the producing country, but is it good for the environment? 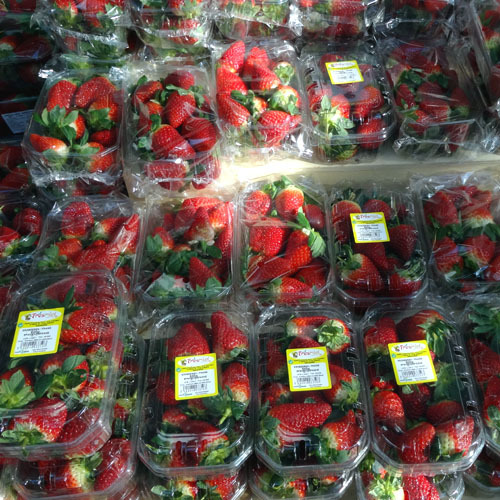 The second issue is about the quality of the fruit itself: the supermarket wanting to avoid waste, may sell fruit that is under-ripe when it first goes on sale, so the full flavour of such as these strawberries may not be experienced as it used to be.